Perched on top of the most picturesque cliff of the Mediterranean there is a tiny gem, always dressed in white, that has been feeding the dreams of artist and lovers for decades. It is Oia, the most alluring village on Santorini, and it is renowned thanks to its stunning sunsets, shinning elegance and relaxed atmosphere. Come and discover this captivating town where luxury is more than a state of mind. 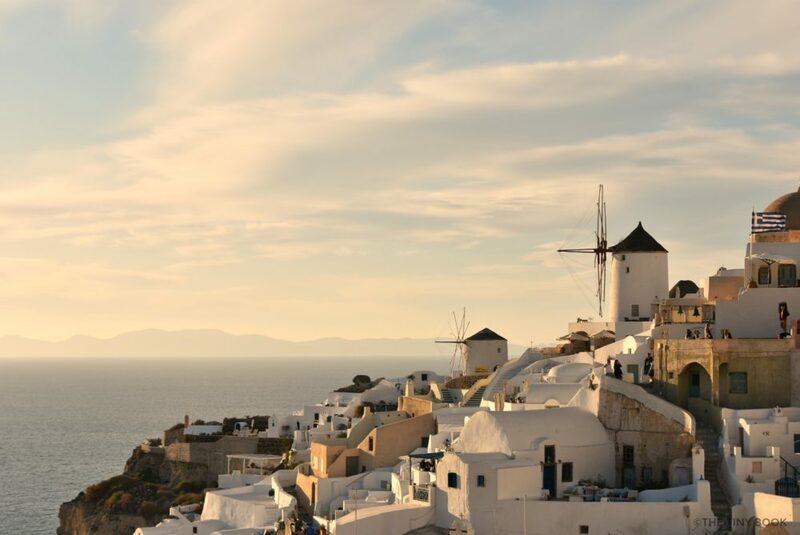 Oia (pronounced ia), situated on the northern tip of Santorini, has rightfully became the very symbol of the island. Well-known for its blue-domed churches and those charming little houses that dot the narrow paths of the village. Lush bougainvillea add a generous brush of colors and endless flocks of develop as a maze going up and down the rocky landscape of the Caldera. 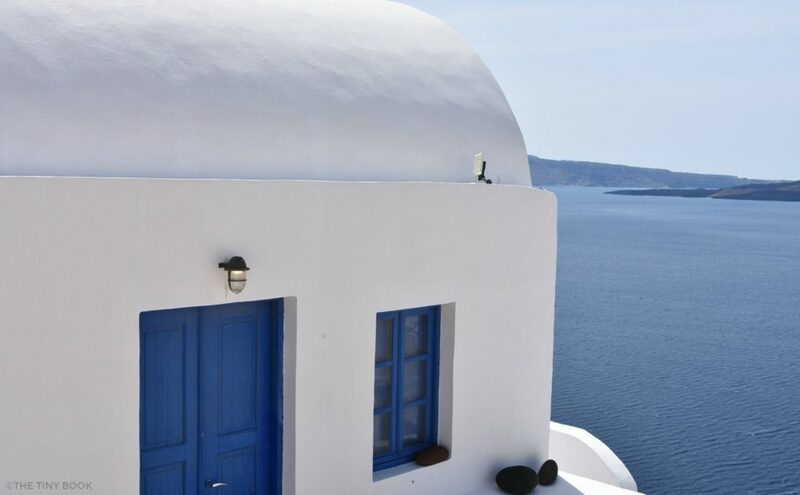 Even when Oia remains one of the most visited places on Santorini, it is still more relaxed than the capital of the island – Fira – despite the many touristic shops, cafés and hotels in the little village. The good news is that Santorini is a rather small island, so you won’t need a lot of time to visit the most famous landmarks. 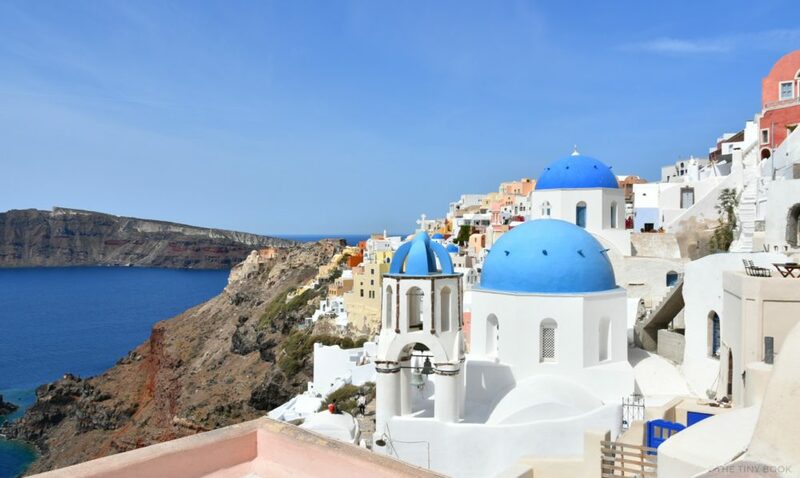 As for Oia, one day is more than enough to discover the many colors of its beauty… Set aside a whole weekend, instead, if you intend to submerge into the spirit of Oia. No matter how much time you devote to your visit, there are a few things that nobody should skip, as they are the essence of any visit to the island. Then, there’s a delicious excess of luxury, which in such surroundings, turns into a natural consequence of the whole Santorini experience. See the sunset that made this island famous for its afternoon colors. 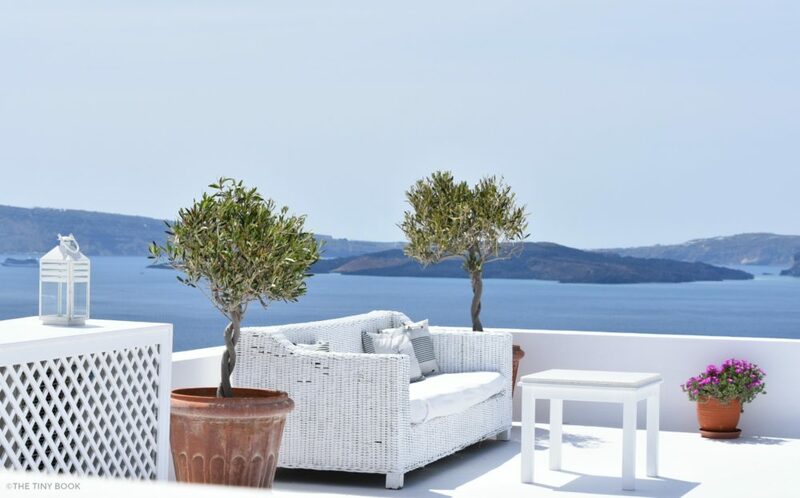 Either enjoy the moment from your own room, in the exclusive premises of one of the hotels located right on the edge of the Caldera; or simply walk to the old Castle of Oia a few hours before sunset. Take a bottle of local wine with you, add a couple of glasses and a bit of patience too. This is the most popular spot at the golden hour and everyone wants to take the perfect sunset picture back home. After sunset, hike down to Ammoudi Bay for a picturesque dinner experience. The colors left behind by the sun play mysterious games on the rocky walls as you descend, please do not forget your photo camera! Once on the small quay, pick one of the many fish tavernas next to the sea and get ready for the tasty catch of the day. Choose a selection of the island’s tomatoes, fava or aubergines and pair it all with any of the outstanding local wines. And when it comes to wines, there is another must on the island: Sample the worldwide famous wines of the island’s vineyards. Here, the right dose of volcanic soil and minerals, combined with harsh summers and extreme winds result in excellent indigenous varieties which turn into the most prestigious wines. 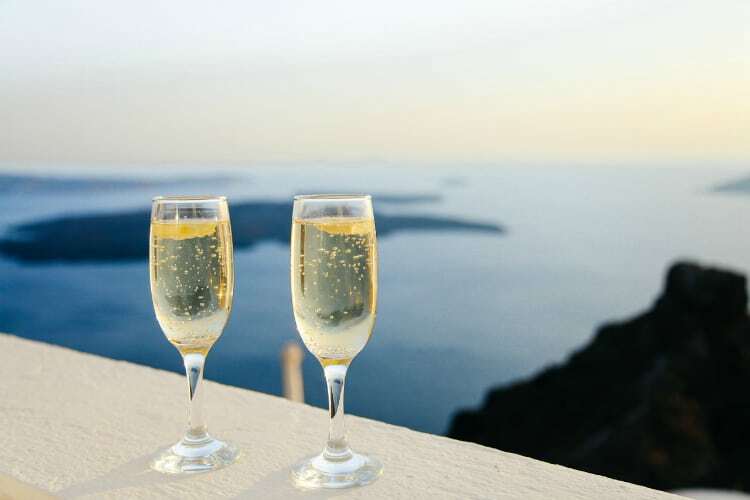 Enjoy a glass of Assyrtiko in one of the many wineries belonging to the wine road of Santorini. They are open to the public and offer interesting wine tasting sessions. If you do not want to leave Oia, Domaine Sigalas is the perfect location for a glass of wine and even a private dinner. 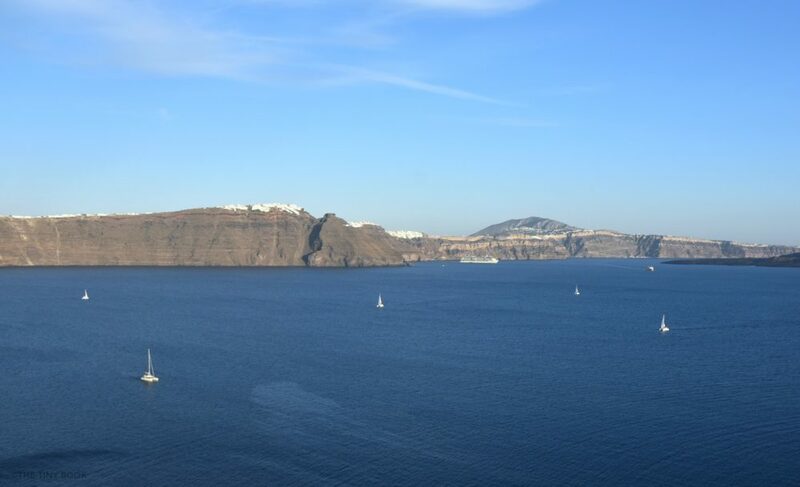 There are incredible vistas you will be able to enjoy from the top of the cliff will only feel complete if you sail the caldera. This will allow you to see Santorini from a whole different perspective. There are several boats, and catamarans that leave exactly from Ammoudi Bay, and the options are countless… It is also possible to choose a more exclusive service, with yachts sailing on the blue waters of the Aegean, surrounded by the imposing beauty of the caldera. You can choose a short excursion or spend the whole day at sea. Visit the nearby Thirassia, swim the hot springs or see the volcano. There are sunset cruises with dinner included; these will sail around Oia at sunset, offering one of the most romantic views in Greece. There is no limit to imagination on Santorini, an island where beauty enhances the power of adventure. If you choose Santorini to make it the vacation of a lifetime, you won’t be short of ideas. Cooking classes, wine trails, art galleries and impressive vistas are part of the story. However, there’s always room for more on Santorini. Fly over the half-submerged caldera on a helicopter to see the spectacular remains of the original island that collapsed under the sea after the volcanic explosion or look for fumes pluming from the crater of the small Nea Kameni… You won’t be sorry. For those in search of a more relaxed kind of beauty, a few photographers on the island offer exclusive sessions to learn the secrets of the task. Your photographer will pick you up at the hotel, and spend a day with you driving through the most dramatic scenarios. He will show you secret hidden beauties, famous blue domes and also share key information so as to improve your photographic skills. you will be able to take back home another piece of beauty. 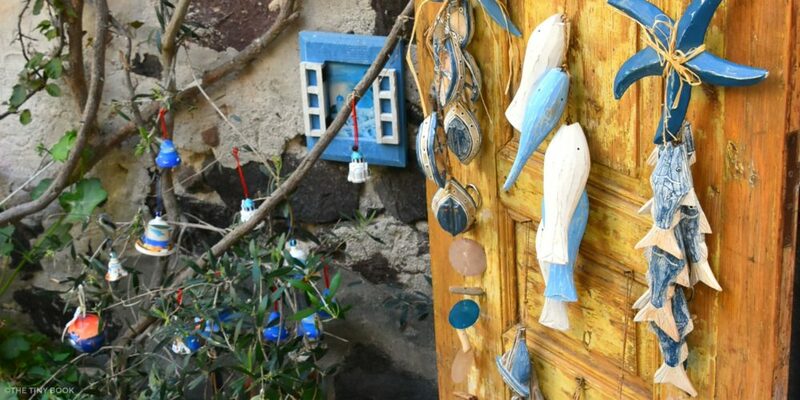 While many shops are there to satisfy the needs of the average tourist, selling overpriced useless objects, Santorini is also home to artists and craftsmen that, attracted by the unique beauty of the island, have moved there decades ago. Inspired by the local landscape and making use of indigenous materials, they produce exclusive pottery, paintings, and works of art worth taking back home.